In June 2006, Valletta Gateway Terminal was awarded a 30-year concession agreement to operate and manage the Grand Harbour Terminals, capable of handling Roll On/Roll Off operations, trailers, containers, continental cargo and vehicles. Valletta Gateway Terminal is a joint venture between The Singapore headquartered Portek Group and the Tumas Group, one of the leading and diversified Maltese business groups. 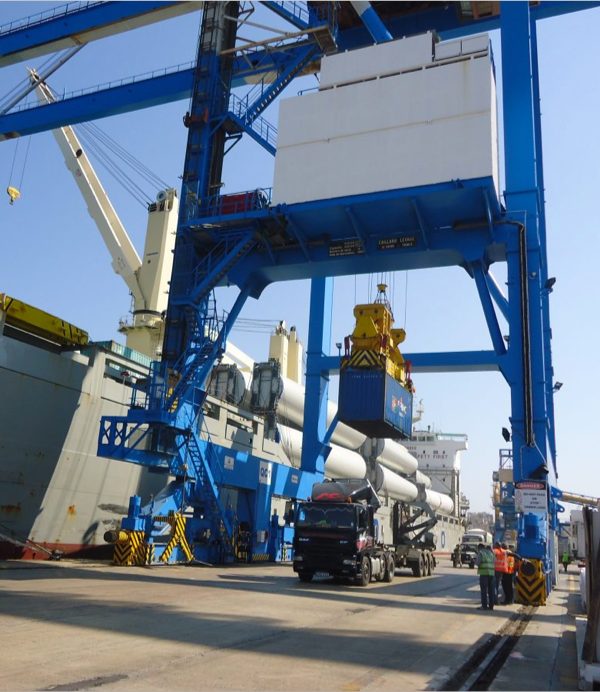 The Portek Group is renowned as a leading turnkey provider of equipment, services and solutions for the global port industry and has interest in the Asia-Pacific region, Europe, the Mediterranean, Africa and the Americas. In August 2011, Mitsui, one of Japanese leading general trading companies, acquired Portek Group, thus expanding exponentially in one stroke, their stronghold in the ports business worldwide. With Mitsui formidable financial resources, network, synergies and logistics operations worldwide, VGT and Tumas Group through their strategic partnership will be in a stronger position to accelerate the growth at the Port of Valletta as a hub within the Mediterranean and North African region. Direct cruise passenger handling ship to shore cruises on the terminals kicked off in January 2012 as part of VGT portfolio services. VGT is endeavouring to upgrade their facilities towards having the required standard that develop the cruise industry at its terminals. This business strengthens the local tourism industry and economy as a whole.